The Team with a panel of Insolvency Resolution Professionals aims to provide comprehensive services to all the stakeholders viz. Corporate Debtors, Financial Creditors, Operational Creditors and Resolution Professionals and Resolution Applicants under insolvency resolution processes. We had Engaged the services of Corporate Professionals in the matter of direct listing of our scrips at Bombay Stock exchange. They handled preparation of all types of documents including Information Memorandum in line with the stock exchange regulations. We are pleased to acknowledge that services rendered to us by them were of highest standard and extreme professionalism. We shall be glad to recommend them to other clients also. Although first time listing on BSE was a challenging and cumbersome task for me &amp; my team but the quality of professional services that is too with such a friendly manner provided by your whole team for enlistment of scrips of our Company, made it easy &amp; smooth for us and that was indeed commendable. Therefore, on behalf of my whole team, I would like to express our sincere appreciation and wholeheartedly thanks for your dedicated friendly services and support. Mr. CS Jitesh Grover	Group Head Secretarial & Compliance Dept. We really appreciate the right acumen offered by the Team of Corporate Professionals for getting our Company’s scrips listed at BSE. The journey of working with them was marvelous and full of valuable experiences!!! Over the last couple of years, Team Corporate Professionals has provided unwavering support to us with our Securities Law needs. Their Capital Markets Team has been very helpful and co operative and possess the “Never say Die” spirit. I have no hesitation in recommending them to any company looking for a long-lasting relationship with a diligent and professional consultancy firm. We are extremely satisfied with the services of Corporate Professionals on FEMA and Corporate Laws Advisory. Apart from being clear on the requirement and objective from the outset, the team is experienced, considerate and have always offered practical solutions to our problems. We are happy to have them as our partner. 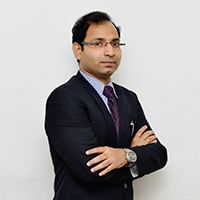 â€œCorporate Professionals led by Mr. Pavan Kumar Vijay has been a trailblazer in imparting highest quality of legal advice, due-diligence and corporate restructuring in the Corporate Law Arena in the last decade or so of its operations. We used the services of Corporate Professionals for the development of a new ESOP plan for our Company. They are a dependable &amp; efficient firm providing quality services. We look forward to our next assignment with them. I have worked closely with Corporate Professionals for last three years on ESOP services and other services for last ten years for have always benefited from their professionalism, enthusiasm and crisp Services. We have been associated with your firm may be just for the past 6 months, but in this short span of time, we have been able to accomplish a lot on our stock programs, all thanks to the support and guidance from you and your team. We have constantly clarified all sort of scenarios and cross border implications and you have been of immense help in resolving the same for us. Thank you on your excellent client service! Look forward to a continued thought partnership and association with Corporate Professionals. Jubilant FoodWorks have been using ESOP GUARDIAN software for management of ESOPs from Corporate Professionals for over 3 years. <span class=”hidden-xs hidden-sm”>Corporate Professionals are dependable and provide quality services. It was great to work with you and it was delight to see such a quick revert from your end on every aspect. We look forward to work with you in near future. I have been dealing with Corporate Professionals Team since last year and I really feel easy while giving any assignment / work in respect of its accuracy and quality. We have a high regard for Corporate Professional for timely respond towards work/ assignment and the same was always so quick as possible within 2-3 working days with all supports and guidance. Our Association with Corporate Professionals started few years back with a small assignment and since then, they have been advising us on various matters. Over the period of our association with them, they have advised us on various issues relating to corporate affairs. We appreciate their commitment to provide best of service expected from them and their integrity. They are a team of dedicated professionals, who thrives to excel with their pragmatic approach. We take this opportunity to appreciate the approach and leadership of Mr. Pavan Kumar Vijay, Managing Director and founder of Corporate Professionals. We acknowledge that the team of Corporate Professionals is truly professional, supportive and speedy to work with. We experienced this while dealing with them during execution of our Company’s Employees Stock Option Scheme – 2013. It was nice to be associated with you and ESOP online is a good online tool, which helps us to manage our ESOP. Thank you for your quick responses and support in process of getting the In-principal approval for listing of the ESOS from Stock Exchanges. Indeed working with Corporate Professionals was a satisfactory experience, you and your team were proactive, positive and prompt in closing the discussions and giving us the Final certificates within the decided timelines. Corporate Professional’s timely efforts and dedication on our assignment is highly appreciated. We would like to thank the entire Corporate Professional team for doing a great service to us. We appreciate the fast responses, reasonable fees and dedication of the team. We are very pleased with the results &amp; hope to have the pleasure of working with you again some time. We were recommended to take Services of Corporate Professionals by our Transaction Advisors when we required a Fairness Opinion on our Scheme of Arrangement. They provided it timely and we are very much satisfied with their approach and process. Thanks so much for your tremendous efforts and support. Despite our deadlines, it has been a pleasure working with you and I look forward to our next project together. You have consistently fulfilled our requests on time and on budget. Thank you! I found Corporate Professionals true to their name i.e. professional in all respects when undertaking the valuation exercise for our Companies and have requisite knowledge, experience and understanding required for the task. It has been our pleasure in dealing with Corporate Professionals. We have been using their multi-facet Corporate Law Advisory services for quite some time. We are fully satisfied with their competent team, approach, guidance and timely response. We would certainly like to utilize their services as and when we need. Over the last couple of years Corporate Professionals has provided unwavering support to us with our business needs. Their knowledge in securities law is one of the finest and they provide out of the box solutions on varied legal issues and complexities. Their team is highly professional and diligent and we feel confident to recommend CP to any Company looking for regulatory related corporate consultancy. I have worked with CP on few transactions and I’m very pleased with their efficiency and professionalism and subject comprehension. I appreciate their clear and unbiased advice. We have been availing advisory services from your esteem organization namely Corporate Professional on varied securities law issues for a very long time and have always been satisfied with their quick response, in-depth knowledge of the subject and excellent support services, In all the long association with the organization has been very fulfilling. It has been a pleasure dealing with Corporate Professionals. You guys are not only professional in you approach but also possess excellent knowledge of capital markets, SEBI and related issues. Pleased and impressed with both the methodology and people we are dealing with and their professionalism. I found everyone to be attentive and thoughtful. Their knowledge and experience has been extremely helpful as they have been guiding us thoroughly throughout the process. I would like to extend my sincere appreciation to your team for your assistance during our public offer, The services provided have been excellent and the task was completed within a reasonable time frame. We have always received good service from the Corporate Professionals group. They provide expert advice on corporate matters and compliances including acting as Managers to the takeover open offers with the highest integrity. Timing and quality have always met our expectations and everything is communicated in a professional and timely manner. Excellent service all the way around from start to finish. Keep up the GREAT work! Their team armed us with detailed insight needed to move forward with this transaction. CP is a trusted partner of our growth. Over all 8-9 years, we have availed their verity of services, be it mergers and group reorganization, funding transactions, valuations, ESOPs or listing at NSE/BSE. We have always found its teams very professional, with in-depth knowledge and thorough understanding of legal and procedural aspects. We value their association very much. Corporate Professionals (CP) always impressed us with the Service orientation. CP is a team of professionals with whom doing work is very easy. They are knowledgeable, responsive and thorough; and all this at an excellent value. Their staff is well trained with broad skill sets. They respond to questions almost immediately and address concerns very effectively. In our every assignments with CP, we feel that they provide complete support to tackle legal complexities. The biggest advantage of working with CP is getting complete services under one roof. CP has provided great support in respect of various equity transaction/issuances with respect to listing/trading of shares with BSE Limited, National Stock Exchange of India Limited and with other Stock Exchanges. We would also like to thank CP team for guiding us on ESOP matters, valuation services for various equity transactions and Insider trading laws. Corporate Professionals is working with our group for last 10 years on our various legal and secretarial matters but our relationship is more personal than professional. I like their approach of providing legal, financial and secretarial services under one roof, which makes transactions smooth. I also like the way they keep shares knowledge and also their research oriented innovative IT products which are unique and rear in legal arena. My best wishes are always with CP and Pavan ji. Corporate Professionals is a one of the great firm to work with, bringing expert knowledge, integrity and a very easy to work with approach. In each of our engagements with CP. We, management and the teams involved were able to collaborate very effectively on the projects from start to finish. In particular, the end results stood out in our minds. Corporate Professional is a one of the great firm to work with, bringing expert knowledge, integrity and a very easy to work with approach. In each of our engagements with CP. We, management and the teams involved were able to collaborate very effectively on the projects from start to finish. In particular, the end results stood out in our minds. CP built excellent code which persisted without issue long past the expected date. Additionally, an often neglected area is documentation – but CP is so professional in this domain that they always delivered high quality documentation which allowed for very efficient transfer of knowledge and in particular the compliance. In particular, we were very impressed with the way CP carried out his work, from analysis to implementation and result achievements. Their analysis was always very complete, easily understood by us and could be evaluated easily with all relevant information. CP has the rare ability to effectively communicate with all different types of authorities including Quasi Judicial Authorities etc., and this is definitely an asset within their organization. One of the important, persistent point they put with the task is their clearly method of communicating complex ideas in a methodical style. CP’s organizational skills were valued because they could effectively schedule and manage their work in utmost professional manner. We express our profound gratitude and deep appreciation for diligent, attentive and professional merchant banking services and we’d recommend your team for the competency you have exhibited in all our dealings with BSE and other stakeholders. Our association with Corporate Professionals, Pavan ji and team is decade old now. During this period they have helped us in various transactions including merger/demergers, capital market, legal or secretarial. We take CP as our extended arms for all our corporate matters and integral part of our growth story. They always provide us with effective and timely solutions and we highly trust and value their advices on all critical matters. It is one of the best corporate advisory firm we have worked with, having very good subject expertise, professional approach and personalized touch. We share a long relationship with Corporate Professionals. They managed our entire project and got us Listed at NSE. They also advised us on Valuations, Corporate Legal Structuring and complete Transaction Advisory”. We are very satisfied with the excellent and personalised services provided by their efficient team with strong domain expertise and prompt response time. Over the last couple of years, Corporate Professionals has provided unwavering support to us on Corporate, securities & FEMA laws. They completely understood our needs and provided exceptional support and assistance throughout. Highly professional, Intellectual Team and a pleasure to work with them. We have had a relationship with Corporate Professionals for several years and, during this time, have received excellent services. They have consistently provided reliable insight and guidance in corporate and secretarial functions resulting in us viewing them as a trusted and valued partner. We have been working with Corporate Professional for over five year now. They helped us in setting our business in India and thereafter we have hired their services for various other transactions. We found them highly efficient and professional. Their team is experienced, considerate and have always offered practical solutions to our problems. We are happy to have them as our partner. We engaged CP for valuation purposes for our different Companies for Regulatory and Transactional purposes and have been working with them for about 8 years. We see this company as leading merchant bankers offering complete package of financial services and more inclined towards valuation related activities. We have been using Valuation services of Corporate Professionals for over 4 Years and they have proven themselves repeatedly to be a dependable and efficient firm in providing quality services. Over the last many years Corporate Professionals has provided unwavering support to us for our Valuation and Corporate Laws consulting requirement. They act as single point of contact for complete support on corporate, legal and valuation matters, which require great amount of expertise and deep understanding. Highly reliable and efficient to work with. We really feel honoured in recommending them to any company looking for a long-lasting relationship with a diligent and professional consultancy firm for Legal or Financial Advisory. Corporate Professional is a one of the great firm to work with, bringing expert knowledge, integrity and a very easy to work with approach. In each of our engagements with CP.